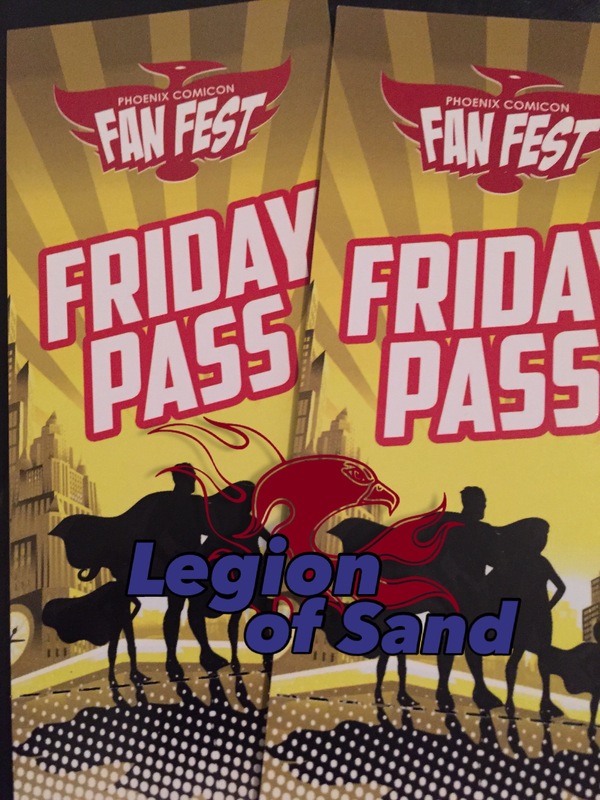 Your Chance To Win Two Friday Passes To Phoenix Comicon Fan Fest! Alright folks, get excited, as this is your first chance to win two Friday passes to Fan Fest, held at the University of Phoenix Stadium, December 4- 6. Fair question! I’ve got your answer. It’s that easy! Once you tweet and follow, you will be entered into the contest. The winner will be picked on October 30th! Contest is only open to US residents. Entire messaged, including link, must be tweeted out along with follow the Legion of Sand twitter account. In the mean time, why not check out my coverage from last year.